Get the best deals around on Mobile Phones & SIM only deals or PAYG SIM plans with no contract. Free next day delivery. Find out more today. 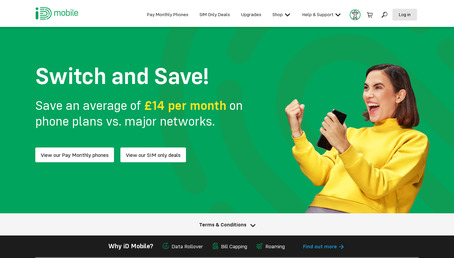 All iD handsets and SIM deals come with 4G as standard, data rollover so you never waste a byte, EU roaming, and datacaps so you never pay extra charges.